Fire Emblem Heroes (Free) has been consistently getting new content and some great quality of life updates over the last year. It recently hit version 3.0.0 that brought new story content including Book III and a nice new icon. As we get closer to 2019, Intelligent Systems and Nintendo aim to bring in the new year with a new Legendary Summoning Event. 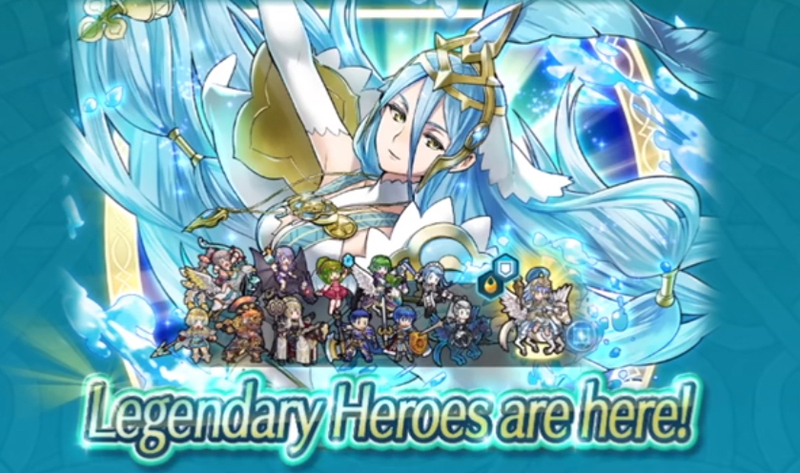 This Legendary Summoning Event focusses on Azura: Vallite Songstress. If you’ve never heard of her for some reason (Go play Fates! ), she’s from Fire Emblem Fates and has some of the best songs in the series for me. In fact, Rena Strober, her VA in Fates, reprises her role here which is great to see as I loved Rena’s performance in Fates. This event goes live tomorrow in game and will go on until January 8th. Azura’s skills at 5* include Gray Waves (yes, from the song), Prayer Wheel, and more. The event also features Hector, Takumi, Camilla (Tropical Beauty version), Marth, and more heroes as 5* Heroes. Fire Emblem Heroes is still Nintendo’s big money maker on mobile devices if you were unaware. If you missed the last Nintendo Direct showcasing the new Fire Emblem Heroes update, check it out here. Hopefully 2019 sees the team bring this game to more regions but I think that issue is a bigger deal for Dragalia Lost.